Speaking to journalists in Bulawayo on Saturday, Khupe said Ncube should not be fooled into thinking that by being elected as the MDC-M president he will win any national elections. "I beat him in Makokoba in 2008 elections and I can beat him any time if elections are called. He will never win any national elections and his party is now in a worse position than when Mutambara was leader, " said Khuphe whose attack on Ncube revealed the bad blood between the two Matabeleland politicians. Khupe said MDC-M can hold several congresses and change leaders but it will remain the same and won't pose a threat to MDC-T. Responding to Khupe's scathing attack on Ncube MDC-N Bulawayo Province spokesperson, Edwin Ndlovu said Khupe should not be taken seriously as she was just a useless figure trying to seek attention. "She is just a village idiot singing wedding songs at a funeral. People should not take her seriously because she is just a toothless and a useless figure trying to seek attention. Our advise to her is that she should not waste time commenting about our party. 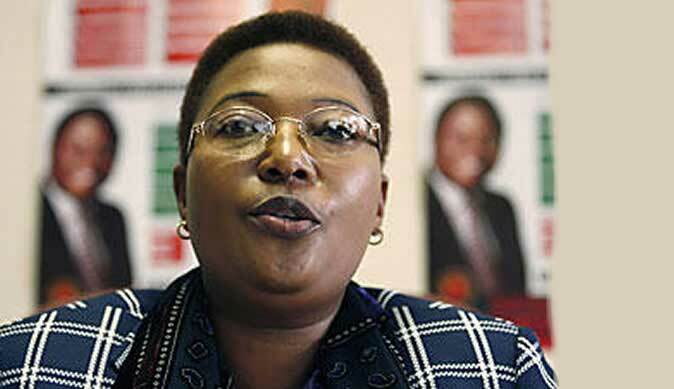 She should be dealing with divisions within the MDC-T which is failing to hold a congress," said Ndlovu.